The committee relies totally on a wide network of parents, friends, staff and pupils who volunteer to organise or help at events.There is a rich tapestry of events organised by FIGS which also happen to be great fun for parents, staff and Governors alike. Details are on the College Calendar. You are invited to contact the Friends of St Ignatius College for further information on how you can volunteer or with ideas/comments/requests via our email friends@st-ignatius.enfield.sch.uk or via our communications box in the school office. Our first collection this academic year has raised a fantastic £531.05. This is a Happy School Bag record for FIGs. A big thank you to all those who filled their 'happyschoolbag' with unwanted yet reusable clothing, paired shoes, accessories and bed-linen. Thank you so much. The next collection will be on Thursday 24th and Friday 25th January 2019 - let's make this collection even better! The next meeting is Monday 12 November 2018 at 6.30pm in the school library. All are welcome. Congratulations and thank you to all those who have contributed to/attended our recent fundraising events. Grateful appreciation and thanks also to our sponsors who support FIGs with such generous donations. Please click here to read more about our past fundraising events (2016 -2017). 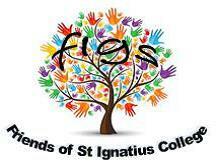 On Sunday 8th July St Ignatius College in partnership with FIGS held its first Summer Celebration: Family Fun Day, Mass and BBQ.